The Mountain Hardwear Women's Keele Hoody is a hybrid fleece and softshell hoody which provides the best of both of worlds. The Doubleweave Brushback high-pile interior fleece fabric provides softness and warmth and wicks moisture, whilst the standard-brushed outer provides greater durability and water-resistance thanks to its DWR coating. 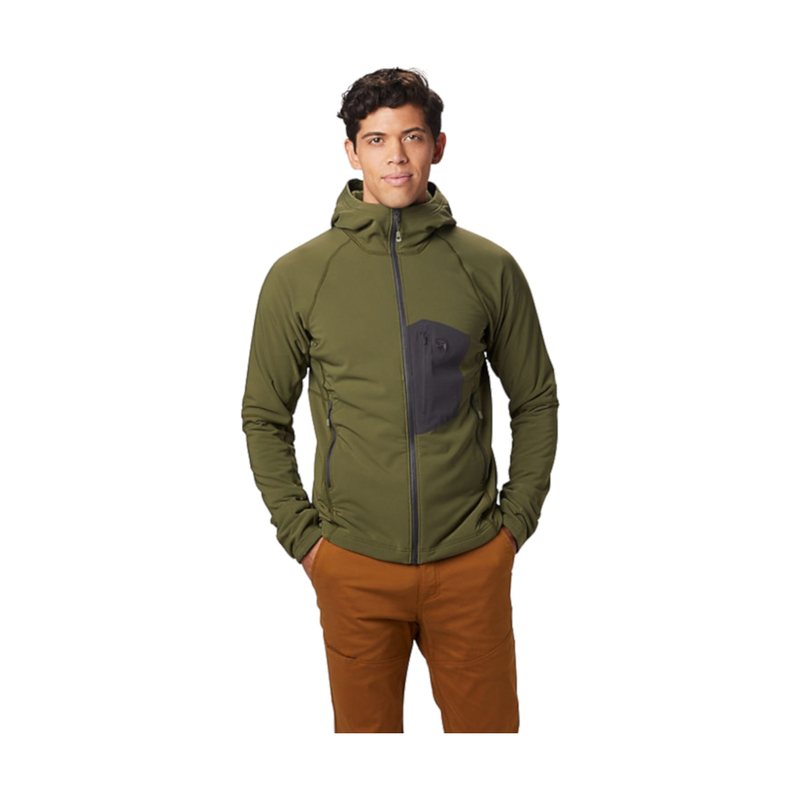 With a mix of insulation and weather-protection, the Keele Hoody is an ideal choice that minimises bulk on mixed-alpine terrain and rock climbs. 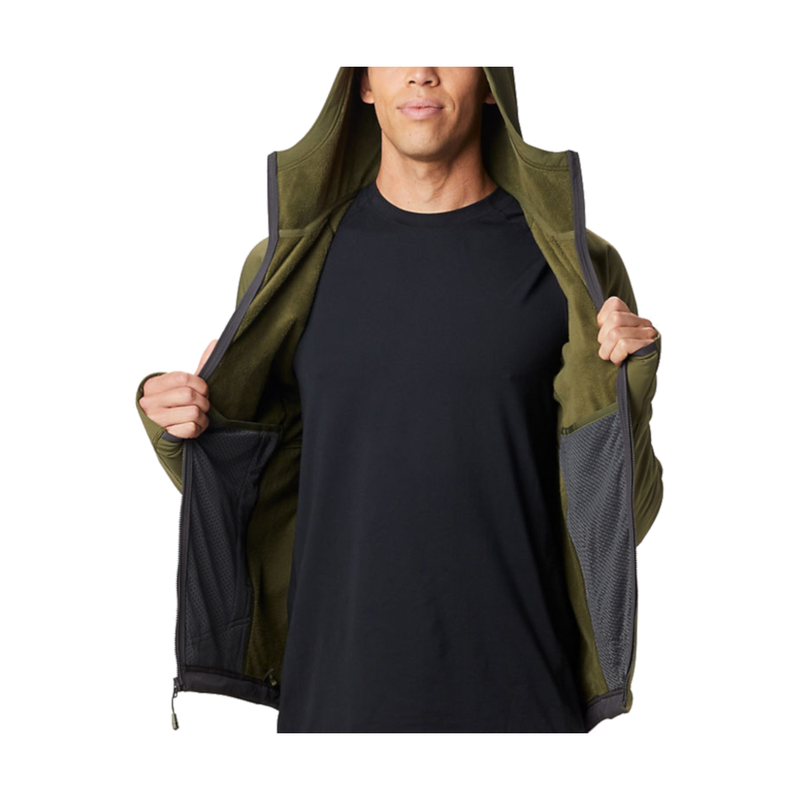 • Moisture-wicking hardshell DWR exterior. • Double-weave Brushback high pile interior fleece provides softness and warmth. 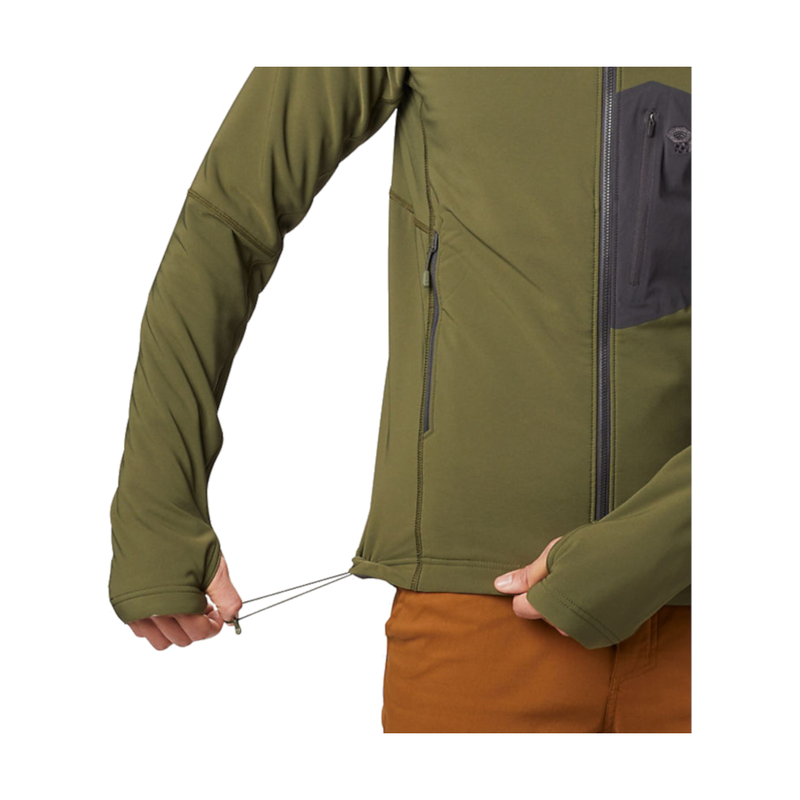 • Harness-compatible chest pocket and hand pockets.